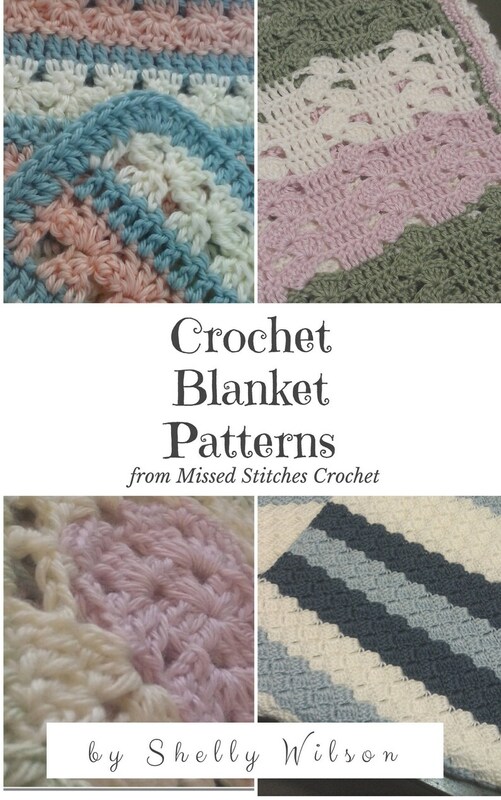 13 patterns of crochet blankets all in easy-to-follow instructions from Missed Stitches Crochet! Q: Why am I charging for something that's free on my site? A: Because on my site, each one is on an individual page and is full of other photos, ads, and unnecessary text. I took the time to put them altogether in one place for convenience in saving and printing. A nice variety of designs. Looking forward to trying them all. Directions are written very clearly. More than one picture of each blanket would've been nice, to see it from different angles. Love the patterns. Hope to try one soon. Excellent! Best buy in years! I prefer payments through the Etsy store but will accept money orders by mail. If you feel you didn't receive your pattern, please contact me and I'll make every effort to get your pattern to you or refund your money. You cannot return digital items. However, as for my physical items, please contact me immediately to discuss your reason for return. Every effort is made to make a satisfied customer and every effort is made to create durable, useful items.